Tiger eye is part of the microcrystalline quartz family which crocidolite veins were replaced by silica thus giving it these different hues. Its name comes from its similarity to an animal eye. It is a bright stone showing golden yellow colors to browns. 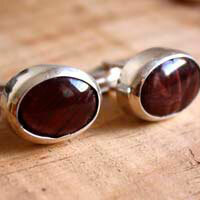 When it is brown, people give it the name of "ox eye", but this variety can be obtained by heating a tiger eye. You can also find blue stones that are called "eagle eye". It has the same origin. The only difference is that the fibrous crocidolite (blue asbestos) was not completely replaced by silica. 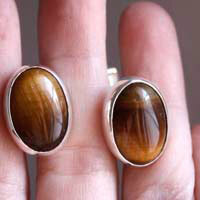 Tiger eye was discovered in the 1800's in South Africa. 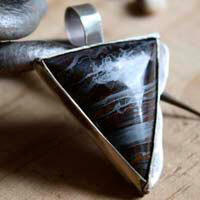 People first thought it was a rare stone so it was sold as a semi-precious stone and it was very expensive. But other mines were discovered, first in Western Africa. 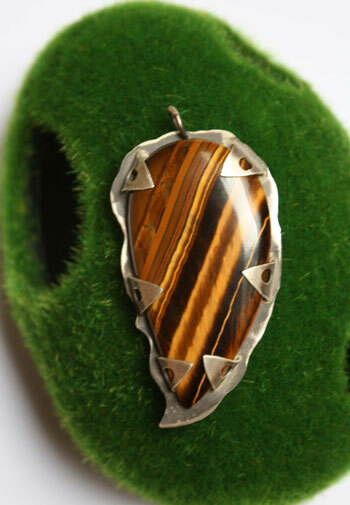 At the beginning of 1900, tiger eye became a cheaper stone. It would help to balance hormones.